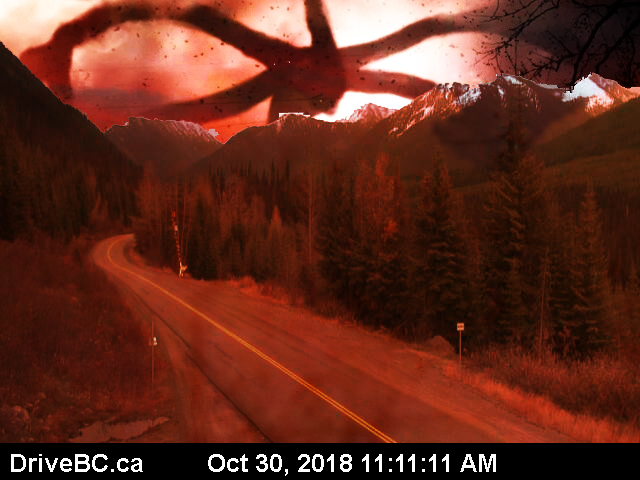 If you’ve been following us online, you might know that we like to have fun during Halloween by dressing up our BC HighwayCams images to create spooky reminders for safety during the season. We’ve pulled together some of our favourites below. 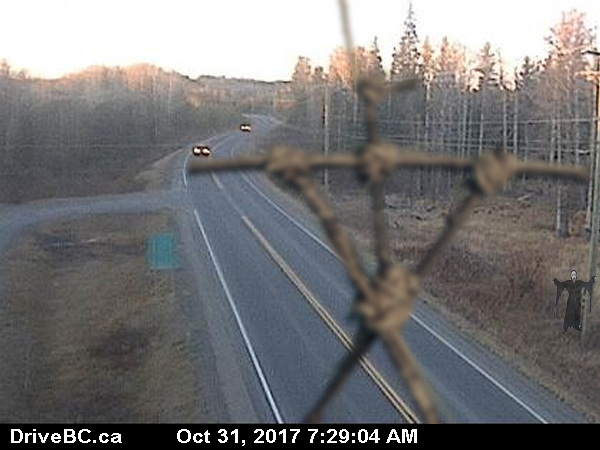 We took creepy to a whole new level in 2017, with our Blair Witch Project inspired graphic. 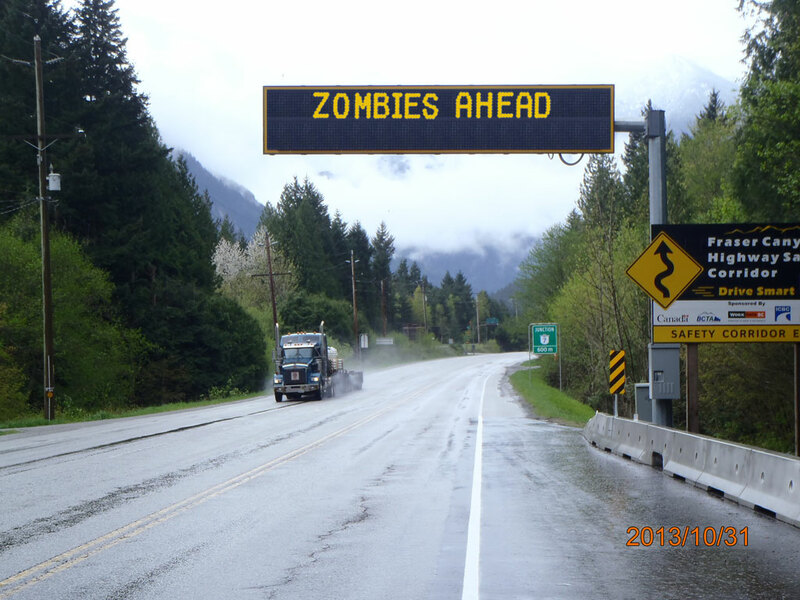 Our digital overhead messages share important safety information, like this reminder to watch for zombies during Halloween 2013. 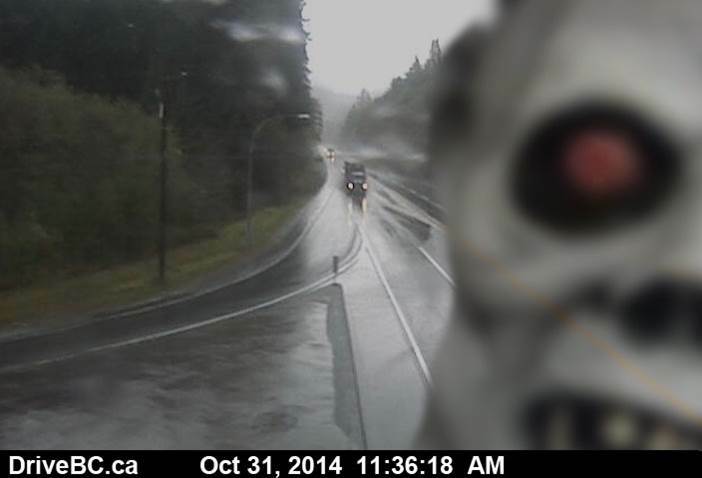 We told you the zombies were out and about during Halloween 2013. This proves it. Take care out there, and remember to watch out for revellers of all sizes as they take to the streets on Halloween. See, be seen, drive safely and have fun.